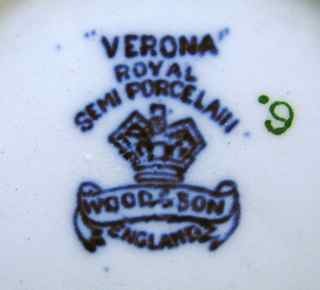 This is one of the earliest patterns in our Woods inventory, and bears the Royal Semi Porcelain mark. 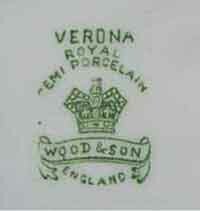 The backstamp often features the old 'Wood and Son' mark - with 'son' singular. 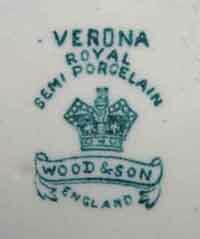 According to the reference books, this was in use between 1891-1907, before the company became 'Wood & Sons' (plural). 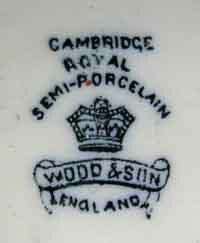 However, in later years backstamps were ofen used indiscrimately, and it is not uncommon to find the old 'son' mark used on items with later impressed date stamps from the 1910s to the 30s. 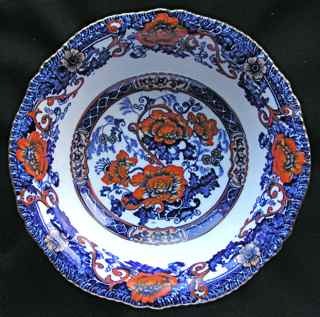 The pattern is sumptuously decorated with hand-painted flowers in vibrant colours over a brown, blue or green transfer, with generous gilding on the leaves and inner bands. 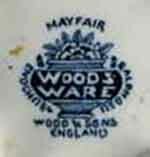 Like other early C20th Woods items such as Cambridge and Mayfair (see below), Verona items feature a 'pie-crust' or gadrooned rim, which is also gilded. 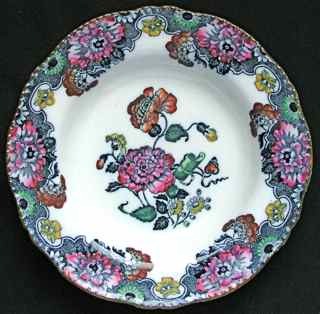 The pattern was produced in several colourways, as shown below, the brown version being the easiest to find and the most collected. 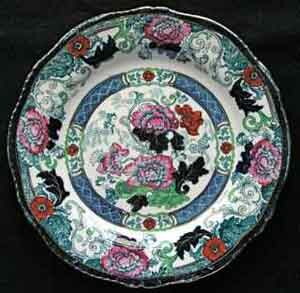 To view our stock, click on any of the IMAGES below. 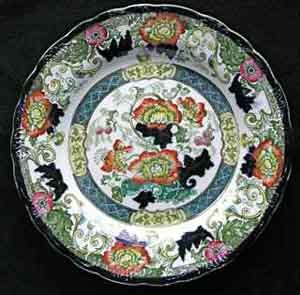 Border pattern plates can also be found, without the central design, but they are uncommon. 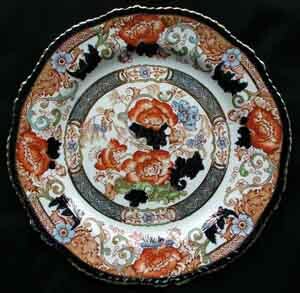 Not as common as the version above, this is a really stunning colour variation. 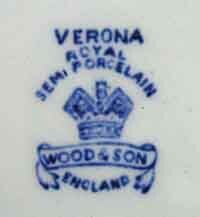 This version is even harder to find. 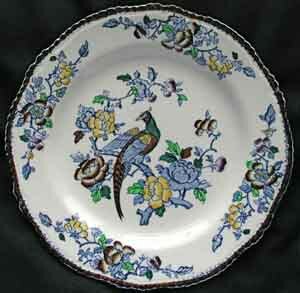 The pattern was re-introduced in the 1950s in a different shape and colour. 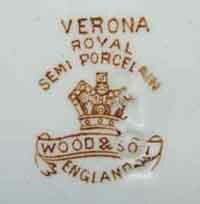 Note the use of the old 'Son' mark, even at this late date. 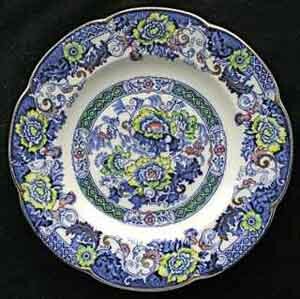 This popular pattern dating from around 1912 also has the gadroon rim, with production continuing into the 1930s.